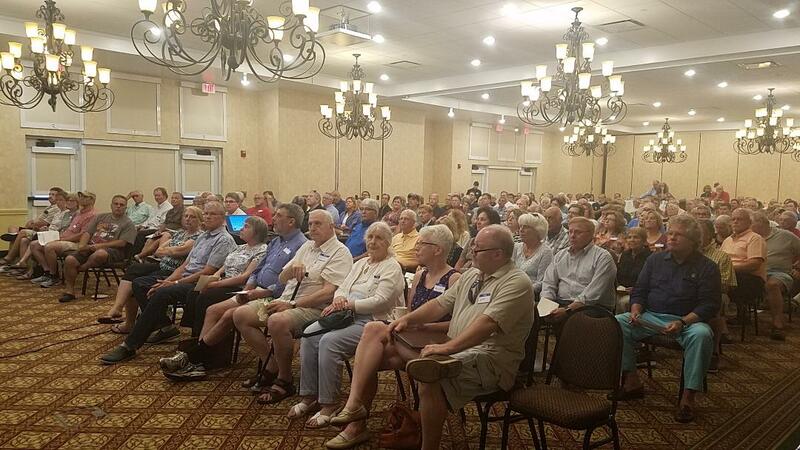 The 2018 Annual Meeting was held at the Lodge at Geneva-on-the-Lake. There was an excellent showing of members and guests, as well as new members. Chairman Greg Baeppler opened the meeting with the Pledge to the flag. He then reviewed the purpose of the Ohio Lakefront Group. He reviewed a By-Lws change which would change the term of officers from one year to a staggered 3 year term. He then moved to the election of officers for the 2018-2019 term. The slate of officers was the same as the previous year as proposed. He called for nominations for the floor. Hearing none he called for a unanimous vote to accept the slate as proposed. The slate was accepted as proposed. Having no further business, the formal business meeting was adjourned. Greg introduced President Tony Yankel who gave a report on the lawsuit, its outcome and the distribution of $6.1 million to lease holders, landholders on the lake, attorneys fees, and the OLG award of legal fees to OLG. He further reviewed the ongoing discussions with ODNR to fully comply with the spirit of the lawsuit settlement. 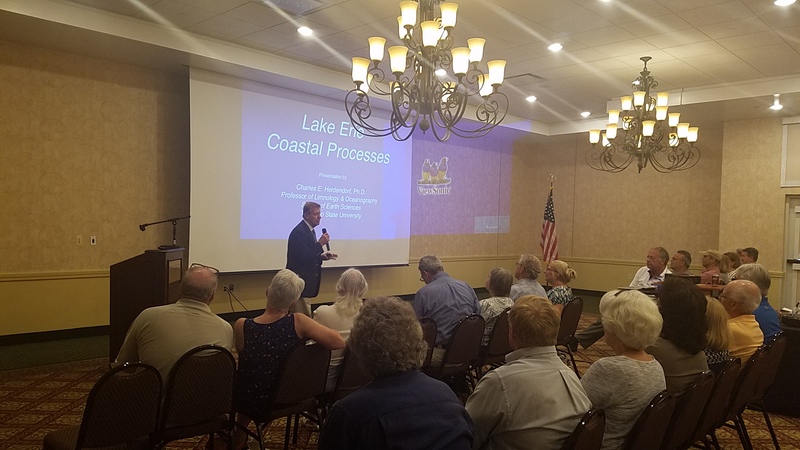 He announced that ODNR would issue no cost temporary permits for repair of shoreline structures damaged during the recent high water and storms as recommended by OLG. OLG is working to have these temporary permits become permanent without further cost or actions by landowners. 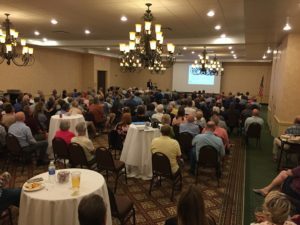 To view the PPT presentation, click this link: 2018-Annual-Meeting-Tony-3-1. To scroll through, use the down arrow or return key. He then introduced Dr. Charles Herdendorf, Professor Emeritus of Ohio State University, and head of the Stone Labs in Lake Erie for 20 years. Dr. Herdendorf discussed the various processes in Lake Erie including erosion, avulsion, and accretion. He emphasized that avulsion (a sudden event on the Lake that causes serious damage to walls, jetties, and other shoreline protection measures) causes at least 80% of the damage along the shoreline. By Ohio Law, land lost by avulsion can be filled back to its original point. Tony then introduced 4 shoreline contractors who attended the meeting. Each spoke a few minutes and were available for consultation after the meeting. He also introduced David Stang who represents an organization opposed the the proposed wind mills in Lake Erie. OLG has no stand on this issue at this time. Mr Stang gave a short talk about his concerns. Tony then introduced Sandy Bihn, Executive Director of the Lake Erie Foundation and Executive Director of Northeast Ohio. She spoke about the protection of Lake Erie and the waters going into it. After questions, the general meeting was closed.